Check out the QR Code book I made! It is a lesson for second grade English Language Arts. 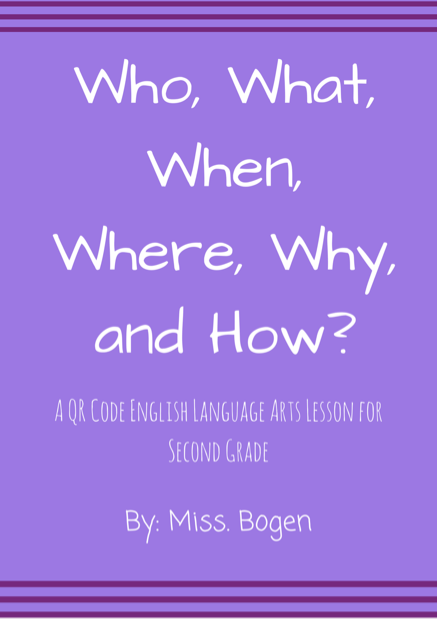 This lesson goes over who, what, when, where, why, and how. You can download my QR code lesson book by clicking the "Download File" on the left of the screen!